Pear Stairs is a leading provider of wooden stairs in the UK, with a team of experienced designers and craftsmen who are experts in their field. We don't churn out 'one size fits all' stairs - all our staircases are designed and built specifically to each customer's individual requirements. You might also like to have a go at designing your own staircase using our free StairCreator tool. This allows you to experiment with different styles and materials, as well as providing an instant online quote. In addition, we have an extensive range of wooden stair parts in our online shop . What timbers do we use in our staircases? 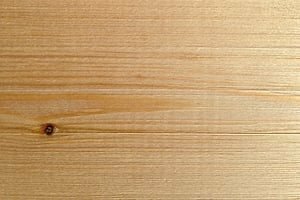 Also known as European redwood, pine is a slow grown pale yellow softwood produced in renewable plantations, making it a sound environmental choice. Attractive and affordable, with a knotty appearance adding character, it is an ideal timber for anyone on a budget. 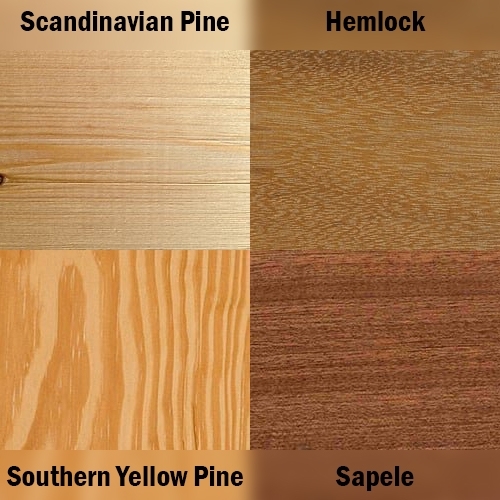 Pine will gradually darken with age to a mellow honey colour, and can be readily stained, varnished or painted. All knots in our timber are sound. This straight-grained, clear, nearly knot-free softwood is becoming increasingly popular as an economical alternative to oak and ash. Hemlock is especially attractive since it can be varnished to a rich golden colour. The timber is of uniform density and will take stain easily with the minimum of colour distortion. Moreover, it is easy to use and will not split or break while being worked, as it is less brittle and therefore stronger than many hardwoods. Tougher than many hardwoods, southern yellow pine is a cost-effective, sustainable timber with an attractive golden colouring and distinctive grain. Although generally clear, a limited number of small knots are permitted. It is grown abundantly in the southern United States, and enjoys the reputation of being exceptionally strong and durable. Whilst relatively easy to work, this wood is comparable to hardwood species such as oak for strength. 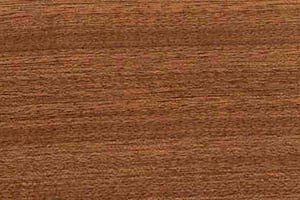 Sapele is a West African hardwood with a reddish brown colouring similar to mahogany - in fact, it belongs to the same family. This fairly close textured timber is harder and more stable than both American and South American mahogany, and makes an economical alternative for use in flooring and furniture as well as staircases. Its dense structure is highly resistant to rot and almost water-tight. As with any product, some variation in colour is to be expected. This strong, heavy hardwood is produced in the eastern half of the United States. 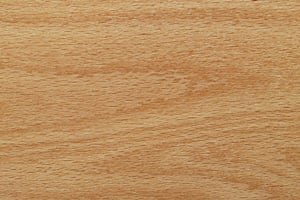 Prized for its durability and toughness, white oak offers an attractive light-coloured, knot-free grain that is always in demand. As it is extremely slow growing, this is regarded as a premium timber. Due to the high costs of large sections, our newel posts and handrails are laminated, careful attention being paid to grain matching. Less common than American white oak, and therefore more expensive, this high quality timber also belongs to the white oak family. It is a little darker than its American cousin, with a more even tone resulting in fewer variations in colour. 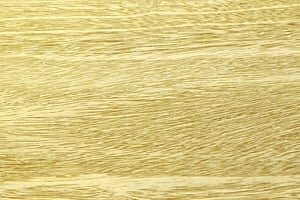 European oak comes in attractive golden honey shades and features a distinctive wavy grain pattern that can be accentuated with wood oil for a striking appearance. There are various different types of walnut tree, but the one most frequently used in staircase construction is American black walnut. Strong and stable, this top quality hardwood offers a mostly straight grain and ranges from dark chocolate to a pale brown in colour. Black walnut may be expensive, but it is versatile and extremely hard-wearing. It can be readily carved into elaborate shapes, making it ideal for decorative stair components such as volutes, spindles and newel caps. Grown in West Africa, idigbo is a pale yellowy hardwood with a variable grain that may be straight, interlocking or slightly irregular in shape. It is becoming increasingly popular as a cost-effective alternative to oak, and can be easily varnished, stained or painted. Although idigbo is not quite as long-lasting as oak, it offers a good level of strength and stability with little shrinkage, and can be shaped to produce a wide range of curved stair parts. European beech is normally pale cream in colour, with pinkish or pale brown variations. A popular, economical and versatile hardwood, it is strong and durable (although less stable than oak or ash) with an attractive straight grain and a fine to medium texture. As beech is widely grown across Europe, it is in abundant supply, keeping costs down. It is also ideal for staining and varnishing. Produced chiefly in Europe and the United States, this premium hardwood is even tougher than oak, with a beautiful, mainly straight grain and a range of colours varying between cream and pale brown. 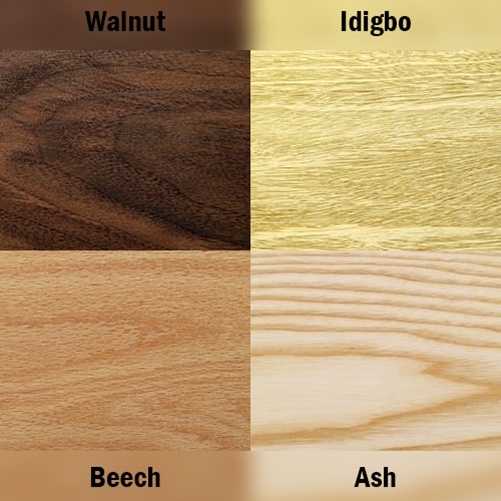 The most widely available type is American white ash. Hard, durable and shock-resistant, it makes excellent stair treads. Because ash has an open grain, it is very flexible, so can be shaped into curved stair parts such as fluted spindles, volutes and turned newels. It can be stained and polished to a very good finish if required, although many people prefer to preserve its natural pale colouring. Of course, you don't have to stick to just one type of wood. If you are intending to paint the spindles but not the handrail and newel posts, for instance, you have the option to cut costs by using economical pine for the spindles and more expensive oak for the rest of the stair parts. The same principle applies if the staircase is to be carpeted. Some people choose cost-effective softwood or MDF treads and risers, as they will be covered up, and save the bulk of their budget for the banisters. They can then splash out on higher quality wood such as oak or ash for these more prominent parts of the staircase. If you are unsure which type of timber to choose, our expert designers are only too happy to offer advice during office hours on 01938 553311. 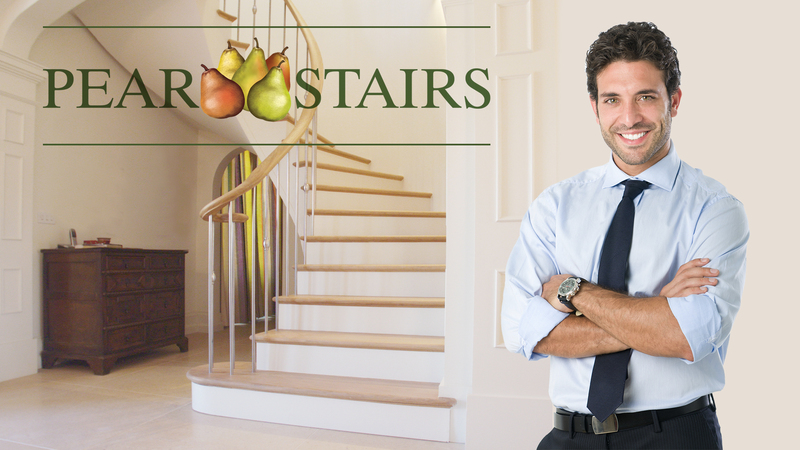 Pear Stairs is a leading provider of wooden stairs in the UK, with a team of experienced designers and craftsmen who are experts in their field. We don't churn out 'one size fits all' stairs - all our staircases are designed and built specifically to each customer's individual requirements. You might also like to have a go at designing your own staircase using our free StairCreator tool. This allows you to experiment with different styles and materials, as well as providing an instant online quote. In addition, we have an extensive range of wooden stair parts in our online shop. 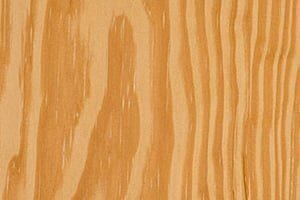 Also known as European redwood, pine is a slow grown pale yellow softwood produced in renewable plantations, making it a sound environmental choice. Attractive and affordable, with a knotty appearance adding character, it is an ideal timber for anyone on a budget. Pine will gradually darken with age to a mellow honey colour, and can be readily stained, varnished or painted. All knots in our timber are sound. This straight-grained, clear, nearly knot-free softwood is becoming increasingly popular as an economical alternative to oak and ash. Hemlock is especially attractive since it can be varnished to a rich golden colour. The timber is of uniform density and will take stain easily with the minimum of colour distortion. Moreover, it is easy to use and will not split or break while being worked, as it is less brittle and therefore stronger than many hardwoods. 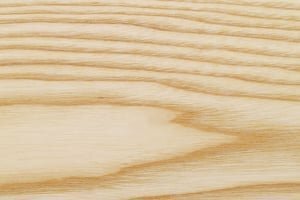 Tougher than many hardwoods, southern yellow pine is a cost-effective, sustainable timber with an attractive golden colouring and distinctive grain. Although generally clear, a limited number of small knots are permitted. It is grown abundantly in the southern United States, and enjoys the reputation of being exceptionally strong and durable. Whilst relatively easy to work, this wood is comparable to hardwood species such as oak for strength. Sapele is a West African hardwood with a reddish brown colouring similar to mahogany - in fact, it belongs to the same family. This fairly close textured timber is harder and more stable than both American and South American mahogany, and makes an economical alternative for use in flooring and furniture as well as staircases. Its dense structure is highly resistant to rot and almost water-tight. As with any product, some variation in colour is to be expected. This strong, heavy hardwood is produced in the eastern half of the United States. 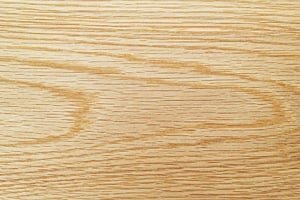 Prized for its durability and toughness, white oak offers an attractive light-coloured, knot-free grain that is always in demand. As it is extremely slow growing, this is regarded as a premium timber. Due to the high costs of large sections, our newel posts and handrails are laminated, careful attention being paid to grain matching. 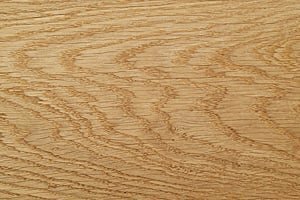 Less common than American white oak, and therefore more expensive, this high quality timber also belongs to the white oak family. It is a little darker than its American cousin, with a more even tone resulting in fewer variations in colour. 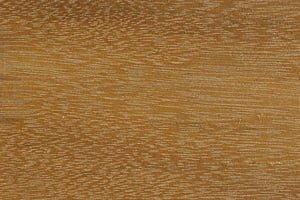 European oak comes in attractive golden honey shades and features a distinctive wavy grain pattern that can be accentuated with wood oil for a striking appearance. There are various different types of walnut tree, but the one most frequently used in staircase construction is American black walnut. Strong and stable, this top quality hardwood offers a mostly straight grain and ranges from dark chocolate to a pale brown in colour. 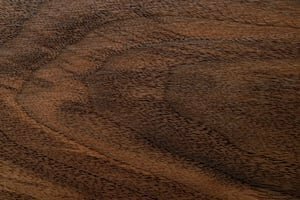 Black walnut may be expensive, but it is versatile and extremely hard-wearing. It can be readily carved into elaborate shapes, making it ideal for decorative stair components such as volutes, spindles and newel caps. Grown in West Africa, idigbo is a pale yellowy hardwood with a variable grain that may be straight, interlocking or slightly irregular in shape. It is becoming increasingly popular as a cost-effective alternative to oak, and can be easily varnished, stained or painted. Although idigbo is not quite as long-lasting as oak, it offers a good level of strength and stability with little shrinkage, and can be shaped to produce a wide range of curved stair parts. European beech is normally pale cream in colour, with pinkish or pale brown variations. A popular, economical and versatile hardwood, it is strong and durable (although less stable than oak or ash) with an attractive straight grain and a fine to medium texture. As beech is widely grown across Europe, it is in abundant supply, keeping costs down. It is also ideal for staining and varnishing. Produced chiefly in Europe and the United States, this premium hardwood is even tougher than oak, with a beautiful, mainly straight grain and a range of colours varying between cream and pale brown. 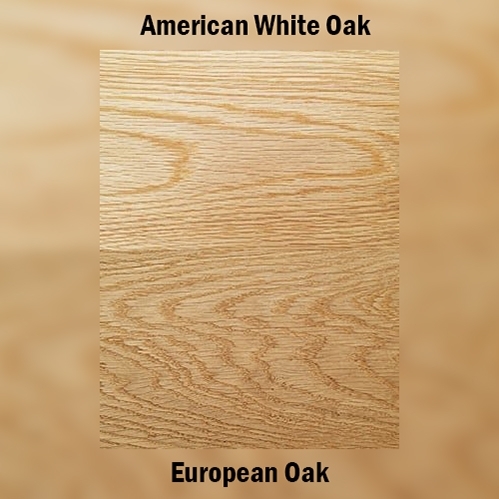 The most widely available type is American white ash. Hard, durable and shock-resistant, it makes excellent stair treads. Because ash has an open grain, it is very flexible, so can be shaped into curved stair parts such as fluted spindles, volutes and turned newels. It can be stained and polished to a very good finish if required, although many people prefer to preserve its natural pale colouring.